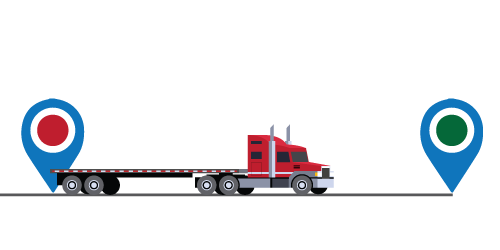 Scalehouse | Quad Infotech Inc.
With the new North American ELD mandate, the logistics departments are looking to improve the process and minimize the truck residency times. By bringing a higher level of organization, collaboration and oversight to the shipping activities, the Quad ScaleHouse Management System is designed to address these initiatives as well as bringing many more opportunities for efficiency improvement throughout the shipping operations. 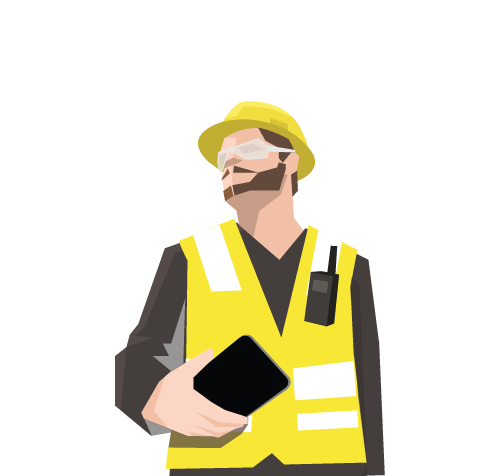 End to end and real-time visibility of all onsite activities. 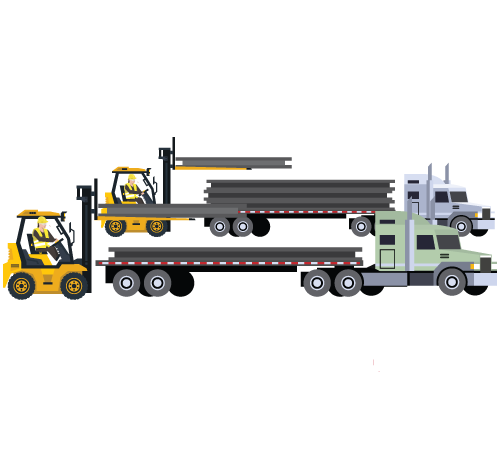 See the status of each loader and each truck in real time. The QMOS Scalehouse implements kiosks where the incoming and outgoing truck drivers will perform their own checkin and checkout process. 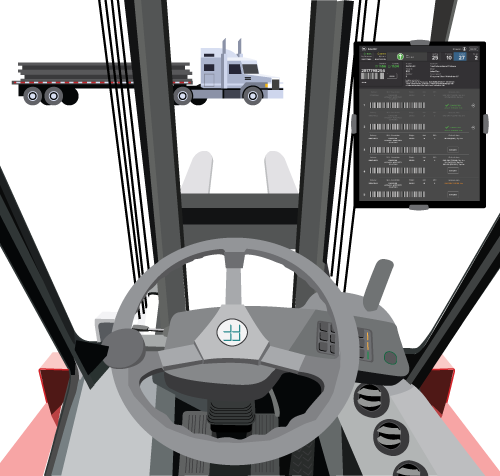 The user friendly and intuitive screens help the drivers through every step of the process while capturing weight information from the automation systems. All the paperwork is automatically generated and printed at the end of checkout. During a shift, multiple loaders operate in various warehouses throughout the plant. The QMOS Scalehouse system creates end to end visibility of the entire operation, showing the real-time status of each loader alongside detailed performance information. Detailed reports and analytics provide critical information needed to better plan and optimize the shipment activities. The QMOS Scalehouse has many features for managing and regulating the on-site traffic. 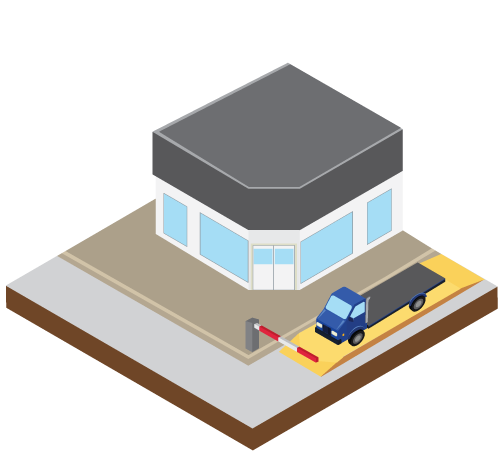 For instance, the incoming flow of trucks can be regulated based on the capacity of each loading area. The system also provides the loaders with tools to manage the traffic, based on the conditions. A Service Level Agreement (SLA) is the duration in which a task is committed to be performed. SLAs are critical in monitoring the performance of any process. The QMOS Scalehouse provides detailed SLA management tools to monitor of all shipping processes. 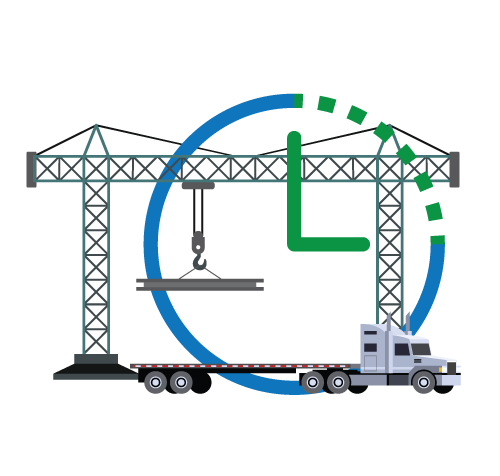 The truck wait-times, load-times, checkout times, residency times, and much more can be monitored with great detail and visibility. The trucks do not always show up based on their schedule. Sometimes they arrive earlier or later than expected. The QMOS Scalehouse can prioritize the tucks based on the user defined rules. It also provides the loaders the ability to override the rules where needed based on the work load and traffic. ensure all inherent problems are identified and resolved immediately. These problems range from truck information discrepancies, overweight issues, interface problems, printer problems, and more. The QMOS Scalehouse issue mitigation ensures all problems are reported and addressed quickly and effectively. The QMOS Scalehouse application interfaces work with any automation systems and automatically receive information such as inbound and outbound weights and more. It also interfaces with the gate system to open and close the gates as a part of its routing and traffic management capabilities. 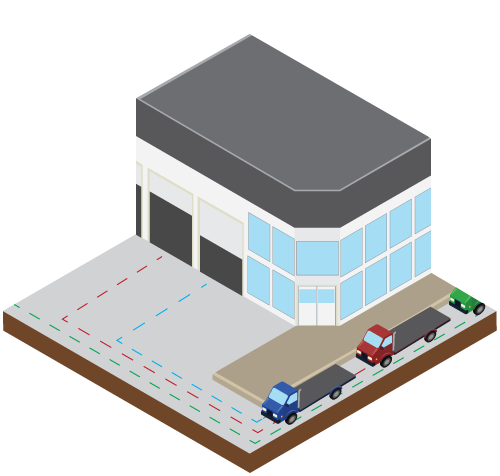 In many plants, the shipping operations may span a large area and cover multiple indoor and outdoor warehouses. 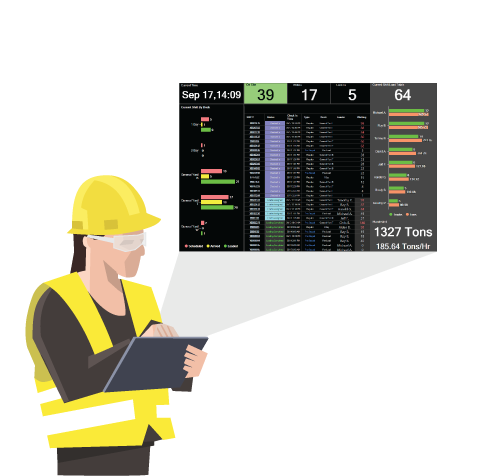 Being able to know the status of each loader and truck at any given time is essential to the ability of the operational managers to monitor and improve the process. 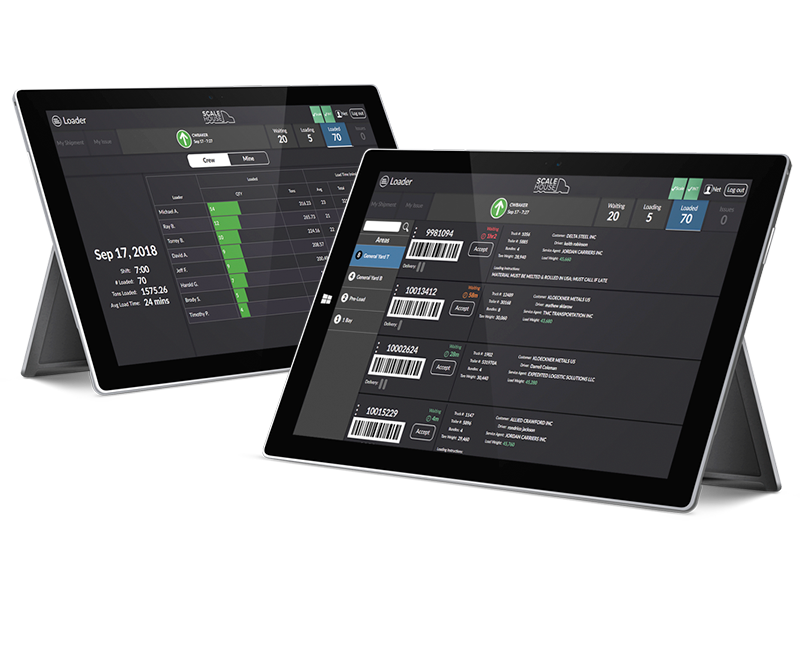 The QMOS Scalehouse system brings real-time visibility to the entire shipping operation, providing live updates on the progress of the operation with respect to the schedule as well as the performance of each individual loader. The QMOS Scalehouse system was designed to improve collaboration of the loaders by providing the loaders visibility of all activities throughout the operation. During a shift, the loaders with less assigned work can participate in helping teammates with more work load. This allows for better management of work load as well as promoting the collaborative spirit among the team mates. The APEX Information Management suite is included with QMOS. Create graphically rich displays and reports for the shop floor and admin offices in minutes. No programming needed.